← What do children of today think of ‘SWALLOWS & AMAZONS’ (1974)? 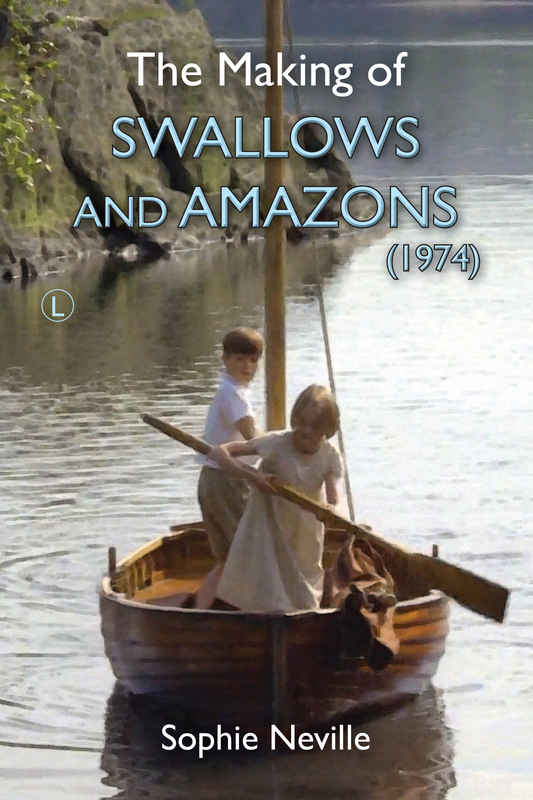 Sunday 21st April ~ Dulwich Film screened ‘Swallows & Amazons’ (1974), produced by Richard Pilbrow and directed by Claude Whatham in 1973. The film was introduced by Sophie Neville who answered questions about how it was made after the screening at the Michael Croft Theatre. Michael Croft founded the National Youth Theatre. One of his students was Simon Ward, who went on to star as James Herriot in the film version of ‘All Creatures Great and Small’, which Claude Whatham directed in 1974 after finishing ‘Swallows & Amazons’. Sophie was invited to watch the filming in Yorkshire, meeting Anthony Hopkins and members of the cast and crew who had worked on Swallows & Amazons in 1973. Brenda Bruce played Mrs Harbottle and Wilfred Josephs composed the music, Terry Needham was the Location Manager and Ronnie Cogan the Hairdresser. A year later Sophie Neville appeared with Simon Ward’s daughter Sophie Ward in the adventure movie ‘The Copter Kids’ when they played sisters. Simon brought the family to watch the filming on location near Gerrards Cross. In September there will be a special tribute to Simon Ward at the Michael Croft Theatre when they will be screening ‘Young Winston’. The plan is that ‘Swallow’ , the dinghy from the 1974 film, will be moored at Buckler’s Hard on the Beaulieu River that weekend, and sailing for members of Sail Ransome if weather permits. 29th May – 2nd June ~ Coniston Regatta based at Bank Ground Farm. 30th May 2013 ~ There will be an outdoor screening of the movie Swallows & Amazons at Holly Howe (Bank Ground Farm) on the shores of Coniston Water, with Captain Flint’s Houseboat, SY Gondola, in attendance.